James Ham studied conducting at the St Petersburg Conservatory. Recent and future performances include concerts with the Magdeburgische Philharmonie, Südwestdeutsche Philharmonie, Brandenburger Symphoniker, Ensemble Modern Akademie and education concerts with the Royal Philharmonic Orchestra. He was Conducting Fellow at the Lucerne Festival Academy for 2016 and held the Charles Mackerras Junior Conducting Fellowship at Trinity Laban Conservatoire from 2013-15. From 2013-14, he was Conducting Fellow with Birmingham Royal Ballet during which time he led several performances in Birmingham and on tour. He is currently Principal Conductor of the London Orchestra Project. Since 2016, James has been mentored by Sakari Oramo and has assisted him on a number of projects with the BBC Symphony Orchestra. Other conductors he has assisted include Karel Mark Chichon, Garry Walker, Martin André and Kristjan Järvi. 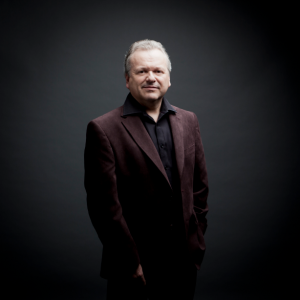 He has studied in international masterclasses with Sir Colin Davis, Alan Gilbert, Susanna Mälkki and Martyn Brabbins, conducting orchestras such as the London Symphony Orchestra, BBC Scottish Symphony Orchestra and Scottish Chamber Orchestra in the process. Other orchestras James has conducted include the Bochum Symphoniker, Staatsoper Cottbus, Jena Philharmonic, Fort Worth Symphony Orchestra, Orquestra do Algarve, Lucerne Festival Strings and Hong Kong Philharmonic. Recent opera performances include "A Midsummer Night’s Dream", "Il Tabarro" and "Le Nozze di Figaro". In 2013, James was awarded a BBC Performing Arts Fund Music Fellowship. He is currently a Help Musicians UK supported artist and has also received awards from the Tillett Trust. Stephen Bryant was born in Croydon, London and studied at the Royal College of Music with Kenneth Piper and Hugh Bean. After continuing his studies privately with David Takeno, he was appointed co-leader of the London Philharmonic Orchestra at the age of 24 – a position he held until he took up his present post as leader of the BBC Symphony Orchestra in 1992. In addition to this role, he is in demand as a guest leader with all the British orchestras, the English and Scottish Chamber orchestras and London Sinfonietta. Abroad he has led, among others , the Hong Kong Philharmonic, Melbourne Symphony Orchestra, Residentie Orkest den Hague, National Arts Centre Orchestra of Ottawa and the WDR Sinfonie orchester Koln . As concertmaster, Stephen has worked with conductors including Sir Andrew Davis, Jirí Bélohlávek, Pierre Boulez, Bernard Haitink, Mariss Jansons, Witold Lutoslawski, Zubin Mehta, Riccardo Muti, Sir Georg Solti, Maxim Shostakovich, Evgeny Svetlanov and Klaus Tennstedt. As a soloist he appears regularly with the BBC SO and has premiered a number of works including the first British performance of Detlev Glanert’s Violin Concerto in 2011. In addition he gave the first British performance of Korngold’s Violin Concerto and the World premiere of Elgar’s Études Caractéristiques. 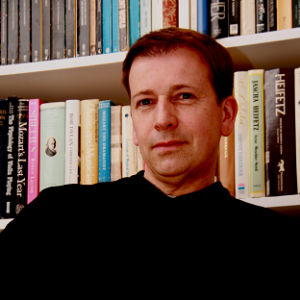 Stephen Bryant has taken part in many recordings as leader of the BBC SO and other orchestras, and has made numerous recordings and broadcasts as a soloist and chamber player. 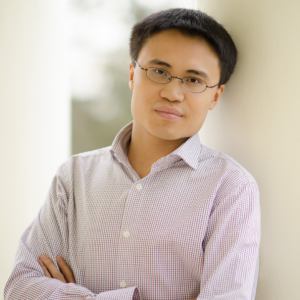 He appears regularly on the jury for a number of competitions including the BBC Young Musician of the Year and the Singapore National Violin Competition and sits on the panel for the Musicians Benevolent Fund and the Royal Philharmonic Society awards. Stephen coaches and adjudicates at all the London music colleges. Michael Collins’ dazzling virtuosity and sensitive musicianship have earned him recognition as one of today’s most distinguished artists and a leading exponent of his instrument. At 16 he won the woodwind prize in the first BBC Young Musician of the Year Competition, going on to make his US debut at New York’s Carnegie Hall at the age of 22. He has since performed as soloist with many of the world’s most significant orchestras and formed strong links with leading conductors. Collins also has the distinction of being the most frequently invited wind soloist to the BBC Proms, including several appearances at the renowned Last Night of the Proms. In recent seasons Collins has become increasingly highly regarded as a conductor and in September 2010 took the position of Principal Conductor of the City of London Sinfonia. His success in this role is testament to the natural musicianship and galvanising leadership that is evident in both his playing and conducting. His conducting highlights include engagements with the Philharmonia, BBC Symphony Orchestra, BBC Scottish Symphony, Ulster Orchestra, Bergen Philharmonic, Kuopio Symphony, Melbourne Symphony and Hong Kong Sinfonietta. In 2007, Collins received the Royal Philharmonic Society’s Instrumentalist of the Year Award, placing him amongst past recipients of the award such as Itzhak Perlman, Mitsuko Uchida, Murray Perahia and Sir Andras Schiff. The award was made in recognition of the pivotal role that Collins has played in expanding the clarinet repertoire, commissioning repertoire by some of today’s most highly regarded composers.